*LIMITED EDITION* of 13 Prints available! *FULL MOON* in Libra brings a heart+mind alignment so we can better navigate the delicate balance of me and we within all our relations. “Someone keeps hitting the cosmic replay button and we once again repeat the magnificent tension of an ongoing Grand Square in cardinal signs (Libra, Aries, Cancer, Capricorn). “We have a big lesson to learn. Grand Squares send us into stress, but they are also highly dynamic. We leap forward because our pants are on fire! “For many a Moon, this configuration of crisis and opportunity has formed and reformed around the Full and New Moons with eclipses and equinox to maximize the focus. “Air signs are mental; so expect both some emotional objectivity along with excessive emotional analysis even obsession by the mind. “An air sign Moon teaches us flexibility, to bend like a tree in the wind and to fly above the earth and gain perspective, neutrality and clarity. “Actually, the Sun and Moon are aligning with the on-going T-Square of Jupiter opposing Uranus with Pluto squaring them both. This is big collective energy. “It’s Vesta that draws it into a Grand Square. She represents our sacred inner self where we draw our raw sexual energy of desire from the lower chakras up into our hearts and focus it for a committed purpose. “Dedication of this energy of sexuality and passion to a purpose that supports our heart’s desire is what’s being called out. Vesta tends that sacred flame that lights the inner sanctum within our hearts. “Perhaps it’s dedicated to the goddess, to our art, to presence, to our hearth, to justice, to the transformation of society. “When Vesta is such a repeated pivotal energy as it is here, it is a call to go within, seek out your intuition for guidance and clarity, to honor the sanctity of the center of your personal spiritual space. “The Grand Square creates a map that shows that not only major, radical social and political change is upon our planet but also the necessity of inclusion of our spiritual source. “Whatever obstacles, habits, blindnesses have stood in the path of including our spiritual consciousness in our current transformation are being raised to our awareness and cleared with much concomitant pain after the long separation from spirit. “The awakening realization that spirit is what makes us whole and is available to support us in drawing down immeasurable gifts is what is making this planetary transition powerful and glorious. “With Venus-Chiron in conjunction, we are healing the ultimate, deep feminine wound, we are making ourselves whole again, bridging the worlds of the conscious and the unconscious, awakening to the cost of disrespecting the resources of the Earth and her value to our well being. “I can remember feeling this way in the 60s – protesting the War united people and it felt as if we all had a purpose, that we could effect our world and change it. The energy of the time felt so alive! Because we were sharing it with others. “In the aftermath of the long 2012-2015 Uranus in Aries square to Pluto in Capricorn, we are now engaged in the hard work of bringing our ideals about the future into our collective life. “And so these same group energies are active again, and can be used in positive, conscious ways or in mob-mentality, destructive ways. “With the Sun in Aries, we seek a strong sense of self-identity– who am I and what am I here to do in this lifetime? “With the Moon in Libra, our unconscious seeks a balance through relating to others – can we allow others to be themselves without judgments and expectations? “Can we be ourselves when we’re with others, or do we need to hide ourselves behind ‘appropriate’ masks? “Can we be ourselves in partnership? Can we find the right partners for us? “These questions get supercharged at this Full Moon. The Aries Sun joins both Uranus and the dwarf planet, Eris, so don’t expect to be in control of what happens. Let your unique genius rock the day. “Uranus brings us the surprise that wakes us up to a new life and Eris will bring up any discord (against the heart) that disrupts our harmony with our true Self… Eris forces us to confront what keeps us out of harmony with this Self. “Pluto in Capricorn, along with the asteroid Juno, square this Full Moon. Pluto is the planet of fate and evolution and its energy of death and rebirth has been undermining our collective institutions since 2008. “Luckily, the Full Moon in Libra conjoins Jupiter. That helps to open up new possibilities, opportunities, and connections for us at the right moment. “However, don’t overestimate what you can handle. Don’t be surprised if the universe throws you quite a lot with this Full Moon. Your job is to mindfully discern what it is you’re capable of taking on. “To start, take a deep breath (don’t forget to exhale). Find your center of calm or your happy place. Sit there and gather yourself. “Transitions are often stressful; that’s a natural consequence of change. “This social Full Moon can give you a helping hand. Consider reaching out and putting yourself out there to truly benefit, but first, make sure you’ve found some place of balance within yourself. “The need for freedom and authenticity is strong, which can go against cooperation or compromise in certain situations. “This Full Moon equally asks that we find some balance between the need to be true to ourselves and the need to integrate with others. “That’s a point of frustration, but again, consider new possibilities you’ve yet to encounter. “Put yourself in a place of receptivity and trust that you will find a new solution that’s truly out of the box. “And lastly, Venus, the ruler of the Full Moon is currently stationing and conjunct Chiron. That might accentuate heart wounds, shadows, and defects in our relationships, but realize that whatever pain you may encounter can be quickly transmuted with a change of attitude and a change of heart. May we move through these passages with compassion, ease and love. *FULL MOON* Blessings to us all! whooo lots going on! but support, thank you!!!! A group of friends and I were mentioning how wonderful it is when these astral insights come out the day before the full moon to better prepare us. Thanks for making this available to so many people. Thank you for sharing your insights, I always look forward to reading your newsletter. I feel inspired and hopeful. Thank you again for your healing (and spot-on!) words of life poetry!!!! GRATITUDE to the authors as I use this wisdom to prepare to harness the power of the full moon. Growth to all. Beautifully worded as always. Thank you!! However , I must say that American Astrologers are getting very self indulgent lately (since elections). other countries have been having their awakenings , revolutions , evolutions , social and other challenges for a loooong time … how come that only NOW , suddenly all the stars in our collective universe are connected to American change … every now and then someone talks about sixties, political change … like nothing of these kind of things have been happening for decades in other places ? I was feeling overwhelmed by the extreme emotions and uncentred. That’s when I sought the guidance. Thanks fpr sharing this so that we can be better prepared for handling the times ahead. Beautiful poem Rebekka. Thank you for sharing with all of us. This guidance is so helpful, reminding me that I’m not the only one facing these enormous processes. 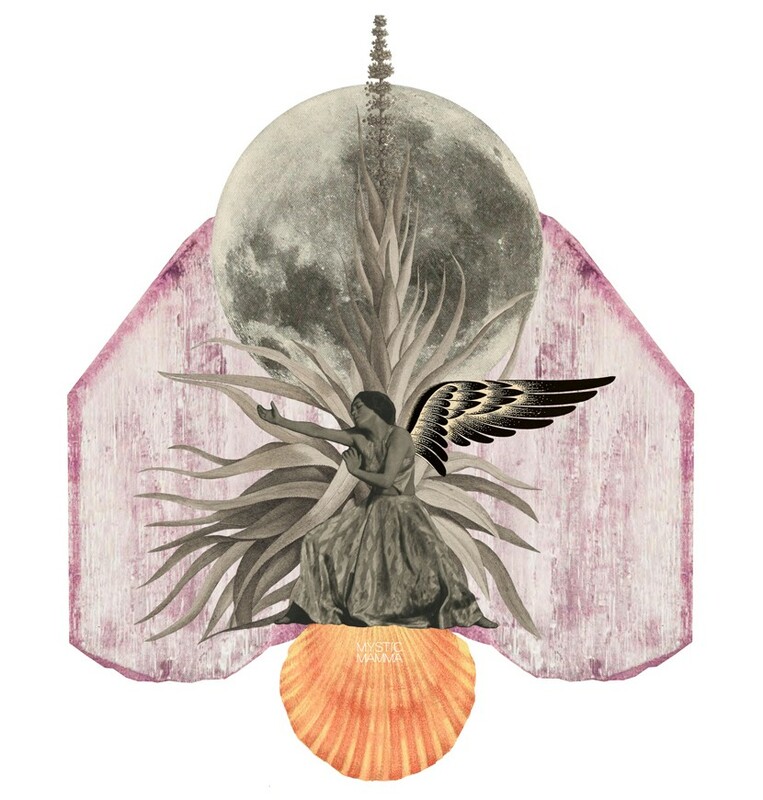 Letting go of the need to struggle against the full pink moon energy is a good first step. Detaching from the need and habit of trying to control life’s situations. 4am seems to be my most sacred time to connect with God and Spirit. In this stillness I am best able to access these profound ideals. Transferring the clarity to the pressure-filled moments of social engagement is the challenge. I love your site, not just for the amazing content you offer, but also for the people who visit and comment. It makes me feel like part of a larger whole of healers and transformers, people who are working and living to celebrate life rather than focus on all the distractions we are bombarded with daily. I am humbled and awed by humanity, especially as it is reflected through Mystic Mamma. Namaste. Peace. Ase. holding the breath? Many thanks. Namaste. So gaps appear in body, mind, soul. My heart fills with pure gratitude for Mystic Mamma and all of the beautiful words and insights that she shares. This website has truly changed my life by lifting me up from darkness and leading me to my highest self. I missed the Insights before the full moon, but I believe it is never to late to read what is ahead for me. I am so grateful for you and your words of wisdom. They always ring true! Be well!